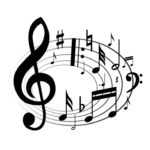 Music Circle meetings are on the second Monday of the month at 2.00pm in the Chapter House. Come along and explore the world of music focussed on varied topics, finishing with tea, coffee and biscuits. To find out more speak to Shirley Paynes.